You can buy your media or rent it for a significant savings! Have you ever wondered about the parable of the Prodigal Son? Why did the son want to leave? What were the implications of his request for his inheritance early? Why did Jesus mention the older brother? What was his role to play? How does this parable show the love of God for us? Many times we find ourselves focused on the “prodigal son” and ignoring the other characters for life principles and guidance. But as Timothy Keller points out in this series, not all of us are “lost.” Some of us have fallen into a spiritual limbo, just “hanging around” to receive our heavenly reward. Others of us are painfully watching loved ones go down these paths, and are just waiting to welcome them home once more. 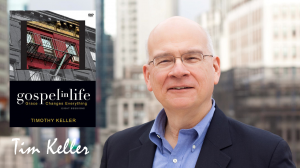 Timothy Keller opens up the parable by diving into the culture of a society we have only read about. He draws us into the lives of the family and society that broadens our perspective by introducing details never thought of, or never understood. Dissect the spiritual meanings hidden within Jesus’ words to reveal the multitude of ways this parable can impact us today. Find out how this parable spoken from the lips of our Savior can nourish your own relationship with the Father, and others. 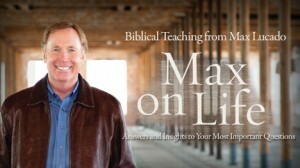 Buy or rent this captivating series to walk through the intricacies of of this well-known parable. Click below to view all the studies available from Timothy Keller. Watch when you want, at your pace. Check out over 150 new titles in our huge On Demand Library! 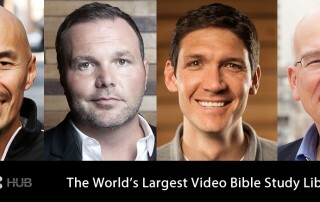 Introducing: the World’s Largest Online, On Demand Bible Study Library! 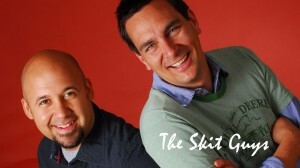 Your most loved and trusted pastors, authors, and teachers around the globe are right here! All of your favorite voices are now available in one place, offered in easily accessible, downloadable files — and we keep track of it for you! No more scratched CDs, lost DVDs, or complicated media players. All of your media is easy to find right here with our new “My Media” option! No more shipping costs! Get your full series curriculum and the accompanying study guides all right here. You don’t have to worry if they are in stock, or hunt them down all over the web to find them. Have stacks of unused guides? Never again! Never get stuck with too many study guides! Buy them as you need them, and have instant access for printing. All study guides, discussion guides, and participant’s guides come in the universal PDF format and will be there when you need them. Need more than a video? See it in person! Want to meet some of these dynamic speakers? Check out our Live Events page to see where they may show up next! We are excited to announce our latest conference coming up this September! Join us for the Engage the South live event taking place in Birmingham, Alabama! Everyone is welcome as these 5 speakers lead you in building your church leadership and church planting in the American south. BUY IT. VIEW IT. SHARE IT. Buy the DVD Box Set and have it shipped anywhere in the world. DVD Box Sets come with one study guide. Buy a Digital Download one session at a time. When you buy a digital download of a series, it is yours. You own it and can view it as many times as you would like, forever. You are able to make 1 DVD copy for your individual purposes only. Rent your video one session at a time and enjoy for 30 days with unlimited viewing for just $4.99! It’s fast, simple and affordable. It’s a great way to sample studies to see which is a great fit for your current study group. It’s easy to watch from your computer. If a group member misses a class, they can catch up from the comfort of their own home. 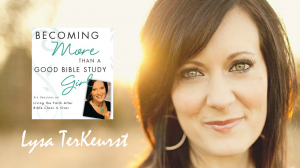 Now you and your study groups can get awesome Bible Study teaching from some of the most current and relative teachers with the click of a mouse. What are you waiting for? Start Renting Now.